Inter Milan have completed the signing of Brazil centre back Miranda from Atletico Madrid as they look to shore up a defence that struggled during a disappointing 2014-15 season. "F.C. Internazionale is delighted to announce that the paperwork has been completed and delivered to the Lega Serie A offices for the transfer," Inter said on their website (www.inter.it) on Wednesday. Atletico also confirmed the agreement on their website (www.clubatleticodemadrid.com). Neither club disclosed terms but Spanish media reported the deal was worth up to 15 million euros ($16.6 million). 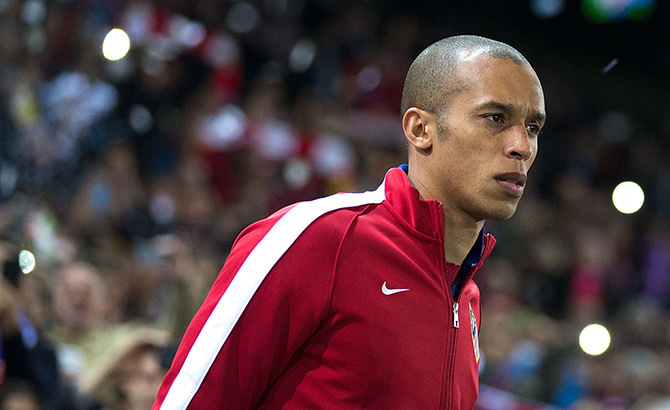 Miranda joined Atletico from Sao Paolo in 2011 following a spell with French club Sochaux and was a key part of the side that won La Liga and reached the 2014 Champions League final. He was in the Brazil squad at the Copa America currently being played in Chile. Inter, who won a treble of European Cup and Italian league and Cup in 2009-10, are looking to rebuild under coach Roberto Mancini after failing to qualify for Europe last term. They finished eighth in Serie A, 32 points behind champions Juventus, with only 14 victories in 38 matches. "Miranda is another great addition to Roberto Mancini’s squad for our new Inter," president Erick Thohir, an Indonesian businessman who owns a majority stake, told the club's website. "He is an experienced player who is as eager as we are to get started on our new adventure."